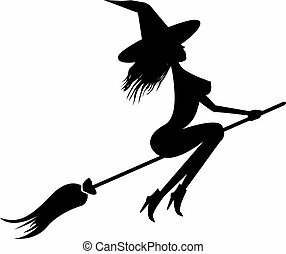 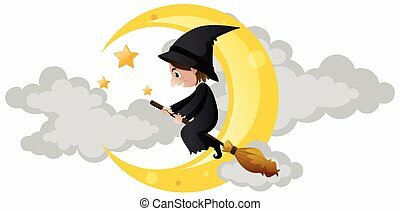 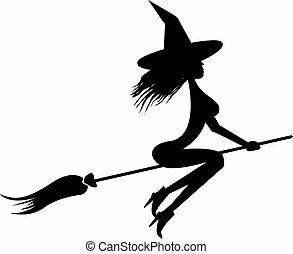 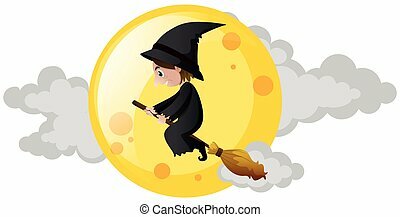 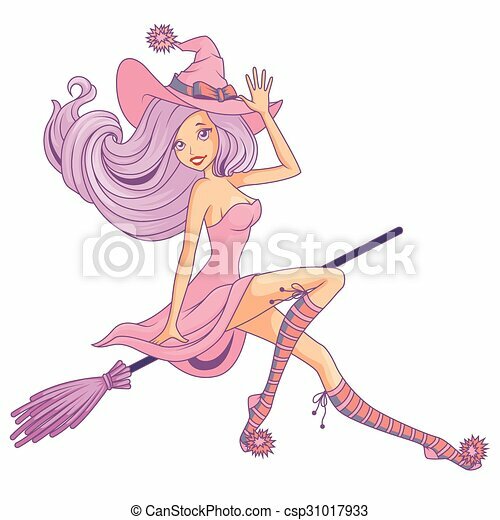 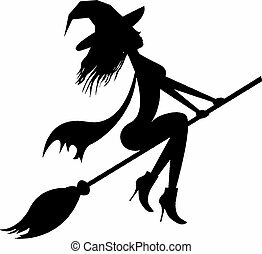 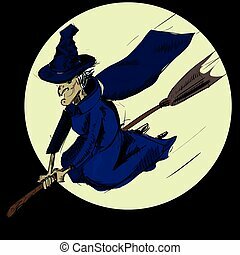 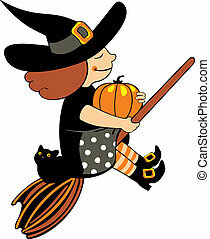 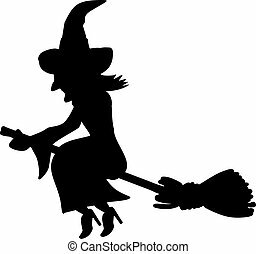 Pretty witch flying on the broom isolated. 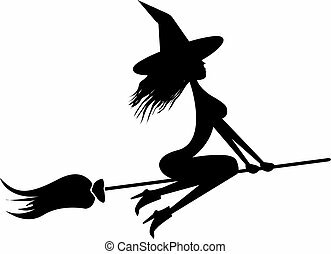 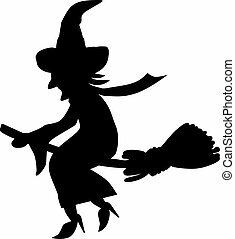 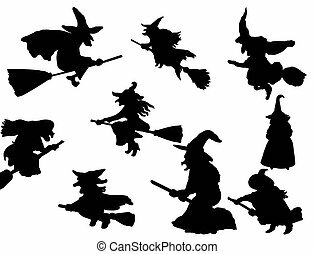 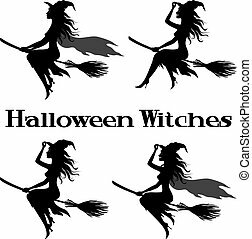 vector silhouette of Witch flying on broom. 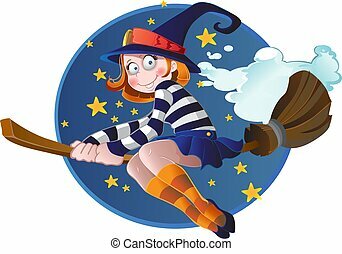 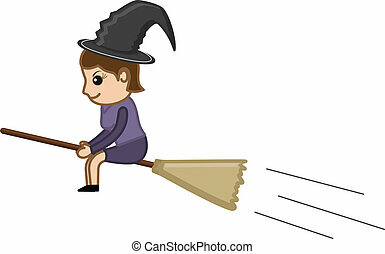 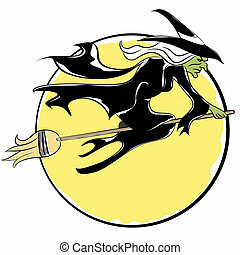 An image of a witch flying on a broom.